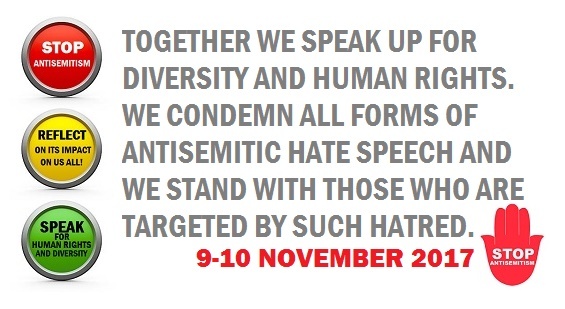 On the occasion of the Action Days countering Antisemitic Hate Speech the No Hate Speech Movement is calling for civil society organisations, youth organisations and governmental institutions to join our efforts to counter the increasing antisemitic hate speech and to speak up for diversity and Human Rights as basic values of peaceful democratic culture. Please join the Action Day by sharing this image on your social media channels and website. You can also support the Action Days by participating in our recommended actions.